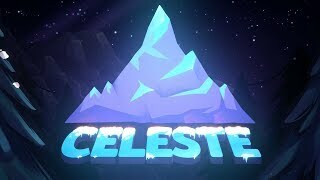 Celeste — это двухмерная аркада от независимой студии Matt Makes Games. Сюжет игры рассказывает о девушке, пытающейся подняться на высокую гору, чтобы избавиться от своих внутренних демонов. Simply put, Celeste is a tour de force. A piece of work that will no doubt go down as one of the year’s best platformers or even just one of its best games in general. Between the immaculately crafted levels with a wide variety of challenges, the intense gameplay that rewards crackerjack timing, the sheer amount of post-game content and things to discover in every chapter, and a moving, amazing story in the form of Madeline’s urge to climb the behemoth that awaits her, what we have here is truly magnificent and an experience that simply cannot be missed. And hey, word has it that the view from the top is amazing. The greatest triumph of Celeste is that its best-in-class jumping and dashing is blended beautifully with an important and sincere story and an incredible soundtrack that make it a genuinely emotional game, even when your feet are planted firmly on the ground. An essential gaming experience. Everything this team set out to do they accomplished. If you have any love for indie games, you’re about to fall head over heels. These people have created something very close to perfection.